Who Won $1.56 Billion Powerball Jackpot? It’s a Sad Day for (Most) PowerBall Fans: Largest PowerBall Jackpot Ever Has Been WON! 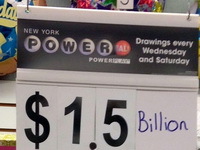 Good Bye, $1.56 Billion Powerball Jackpot! 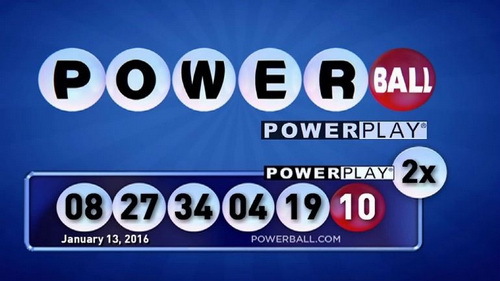 January 14, 2016, is an important date in PowerBall history. The unprecedented jackpot of 1.56 BILLION DOLLARS has fallen and according to preliminary information, there are at least three winning tickets. The lucky numbers were drawn on Wednesday night and they are 8, 27, 34, 4, 19 and a PowerBall with a value of 10. Almost immediately after the drawing, representatives of the California Lottery tweeted that one winning ticket was sold in the state. The other two incredibly lucky individuals (or groups of people, for that matter) are from Florida and Tennessee, ABC News reported. The PowerBall jackpot reached its humongous present value after 20 drawings with no winner. Unfortunately, we’re now back to square one and the figures aren’t going to continue rising. The story of PowerBall’s biggest jackpot ever started on November 7, 2015. 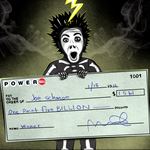 The respective drawing featured a 40-million dollar jackpot that kept on growing until it reached 1.6 billion. 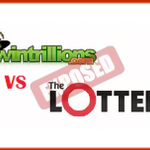 According to lottery officials, the jackpot will add up to 983.5 million dollars after taxes. It doesn’t sound as impressive as a billion, but the sum is still quite attractive in our view. Who are the Lucky Powerball Winners? The identities of America’s newest millionaires haven’t been revealed yet. The California Lottery announced solely that one of the winning tickets was purchased at a 7-Eleven in Chino Hills. Soon after the announcement was made, a large group of people came to the lucky spot to celebrate the victory of the unknown Californian. Chances are that this is one of the biggest events that have ever happened in the small city that has a population of solely 75,000 people. As we live in the era of selfies, many of the people that came to celebrate took pictures with the store clerk on duty. Who knows, the luck of the winner could potentially rub off on everyone that decided to have a small impromptu party in their honor. No announcement whatsoever has come yet from the other states where winning tickets have been purchased. Apart from the three jackpot-worthy tickets, numerous others tickets have brought their owners a prize from the respective drawing. According to the ABC News report, there were at least 28 tickets that won one million dollars or more from the latest drawing. The California Lottery announced that it had sold a total of 12 tickets that matched five or six numbers. One thing that we need to mention is that one of the biggest winners from the latest drawing is… the US government. As you probably know already, Uncle Sam collects an income tax that is 25 percent of awards collected in the form of a lump sum. Thus, if the jackpot winners decide to obtain their prize money in one large amount, the US government will collect an income tax of approximately four million dollars. PowerBall is probably the most popular lottery in the US that’s available in 44 of the states. Needless to say, even individuals from states where PowerBall isn’t available found a way to buy their tickets in hopes of becoming at least a little bit richer. The odds of winning the jackpot in PowerBall are 1 in slightly over 292 million. 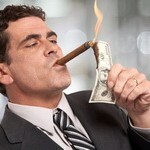 One of these days, hoping this Saturday, I myself would be one of them people to be rich.